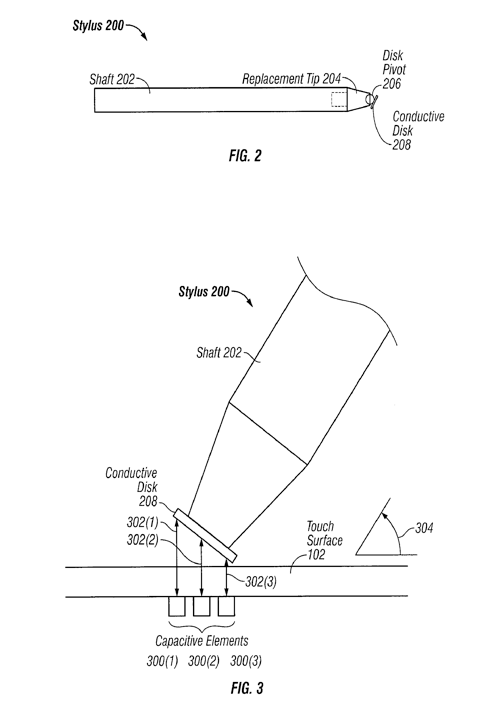 Speculation surrounding an Apple patent application for a "Stylus adapted for low resolution touch sensor panels" has been rekindled on reports that such a stylus could be used to improve iPad adoption in the education market. 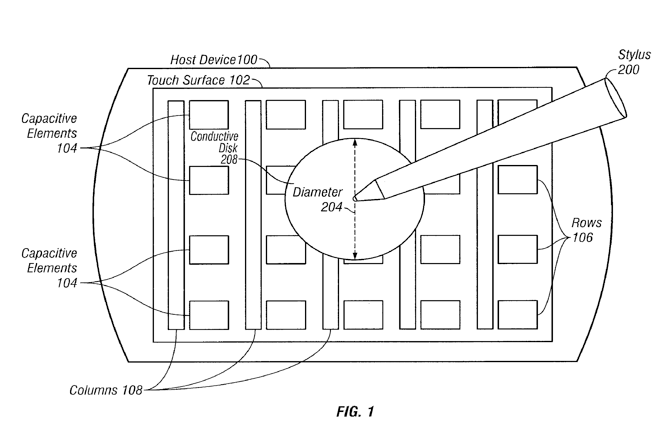 AppleInsider was first to discover the patent in January 2010, two weeks before the unveiling of the iPad. The invention is credited to John G. Elias, an Apple employee and co-founder of FingerWorks, the firm acquired by Apple during the development of the original iPhone. The fact that Apple continues to investigate the stylus input method has raised eyebrows, as the company has gone on record declaiming the stylus as suboptimal. In 2007, during the launch of the first-generation iPhone, Apple CEO Steve Jobs said "We are all born with the ultimate pointing device —our fingers —and iPhone uses them to create the most revolutionary user interface since the mouse." More recently, in April 2010, Jobs said "It's like we said on the iPad, if you see a stylus, they blew it," during the iOS 4 event. The ensuing success of Apple's tablet, which sold over 14.3 million units in its first three quarters on the market, suggests that Jobs was right to abandon the stylus. However, a New York Times report by Nick Bilton indicates that Apple may be looking into a stylus for the iPad in order to make further inroads into the educational market. Citing "a person who works at Apple on the iPad and is not allowed to speak publicly about the company's upcoming products," Bilton asserts that the main reason for adding a stylus is to "reach a wider number of children in school." Its one of the barriers for school kids and college students to purchase an iPad where they want the ability to take notes by hand and draw in class," said the report's source. Microsoft founder Bill Gates predicted last year that pen-based tablets would dominate the educational market. "We think that work with the pen that Microsoft pioneered will become a mainstream for students. It can give you a device that you can not only read, but also create documents at the same time," he said. Gates, however, has not had a good track record with predicting the rise of tablets. In 2001, he asserted that "within five years [the stylus-driven Tablet PC] will be the most popular form of PC sold in America." 10 years later, tablet sales are on the rise, but it is Apple's vision of the tablet that is succeeding. For its part, Apple revealed in January that it has seen strong demand among education customers. A number of schools (1, 2) have begun equipping their students with iPad in hopes of assisting learning. Apple offers volume education discounts for App Store software, allowing educational institutions to purchase multiple copies of an application in bulk.